What are the best-rated messenger bags for kids? Is your child excited for the first day of school? 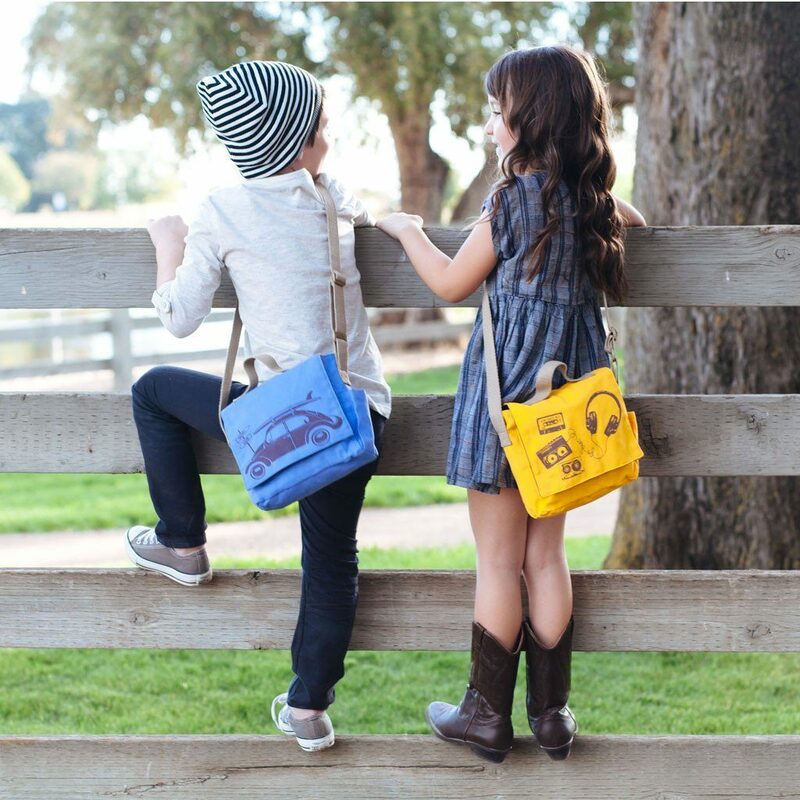 Pair their eagerness with one of these stylish messenger bags for kids that will jumpstart their day. If you’re lucky, waking them up every school morning won’t be as difficult. Which one of these best-rated messenger bags for kids should you pick? This bag is made from polyester and is 13” high and 10” wide. It will fit most of your kid’s belongings for a day in school, or a visit to the grandparents, or just a getaway to his friend’s place. 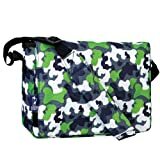 This is perfect for school because it comes with two utility pockets underneath the flaps where he can put his smaller school items such as pencils, erasers, sharpeners, etc. PROS: There are over 20 designs and colors to choose from. Your child will really have an exciting time choosing the one that best suits his personality. Boys will love the horse, camouflage and zebra patterns while girls will swoon over the bright pink leopard, dainty flowers, and dots. Velcro holds the front flaps tightly so that none of your belongings will spill out of the bag. The interior has plenty of room; it can fit all the books your child will need for school as well as packed lunch, snacks, and a change of clothes. This trendy messenger bag for kids also comes with a sturdy shoulder strap that is padded and adjustable. This gives comfort to the wearer despite the heavy load. CONS: Majority of the reviewers complained about the seams ripping only after a few months’ use. Many said that the stitches aren’t very well made. These may be quality control problems, as the majority didn’t complain about quality issues. Fully-padded computer sleeve fits most 17" laptops. Adjustable flap with quick-release buckles and hook/loop closure. Zippered accessory pocket on lid. Mesh beverage and media pocket. Premium organizer with multiple pockets and key fob. This messenger bag made of high quality polyester is top-rated in Amazon with 4.4 out of 5 stars given by 289 reviewers. It’s a really good quality bag that has lots of compartments and pockets for easy organization. The main compartment is roomy enough to fit all the stuff your kids need for school. PROS: Like the Wildkin Messenger bag, this High Sierra bag comes in 24 great designs and colors. Girls and boys alike will have a hard time picking the one that they want because they’ll surely love a bunch of them. The designs are really creative and the color combinations are catchy. Any kid wearing this High Sierra messenger bag will feel really proud. It’s also very durable as High Sierra uses rip-stop fabric that holds up incredibly. The functionality of this bag is really good as well; it comes with an adjustable flap with quick-release buckles and hook/loop closure so that you won’t have to worry about your stuff spilling out in case you drop your bag or tilt it sideways. There is a zippered pocket in front, which can be used to store items that you always access. There’s a side mesh beverage compartment and a cellphone pocket. CONS: Some customers have received bags with defects. However, they have easily returned it without problem and Amazon sent them a replacement. Others have complained about the size of the bag; it is either too big or too small. Check the measurements first before purchasing this bag, as it may not be the right size for you. adjustable shoulder straps, and a small pocket inside. Kids who love Hello Kitty will truly feel satisfied with this messenger bag that just screams of cuteness. The flaps feature Hello Kitty’s face in complete detail (with the classic pink ribbons) and holographic glitter effect. Customers who bought this said that the photos on Amazon don’t justify the real item, as it was shinier and prettier in real life. This is rated 4.3 out of 5 stars. PROS: This bag is for those who are saving up but really love Hello Kitty without the ridiculous price tag those licensed product requires. After all you don’t need to pay for something solely because of the product license/brand name. This messenger bag functions the way it should, with its wide compartment enough for your daughter’s supplies for school. The straps are also thick enough to support the weight comfortably. CONS: Although it is made of sturdy materials, don’t expect that it will hold up when used daily with tons of heavy books and other materials. The stitches and seams aren’t top-notch. It’s also only good for whatever stuff a six or seven-year-old can bring. If you’re aiming for a bag for kids older than this age, find a bigger one and a sturdier one. This messenger bag is perfect for boys aged 10 and below. Above that age, they might not appreciate the style and design, or it may not be enough to hold their school supplies and books. 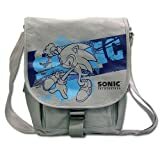 This product is an officially licensed Sonic the Hedgehog merchandise so you’re sure that you’re getting a really good quality. PROS: It has a zip atop the main compartment to protect your kid’s stuff from spilling in case of dropping and tilting. The front flap, which has the bright blue face of Sonic, is secured by Velcro. The main compartment is divided for more organization. It has a zippered mesh pouch inside, zippered back pocket, and two side pockets. The shoulder strap is padded and adjustable so you can adjust it to your child’s height accordingly. The overall polyester material is very sturdy and keeps its shape naturally. CONS: What owners wouldn’t like about this product is the size, depending on how they intend to use it. You won’t be able to fit too much in it, which is a shame because of the sturdy built of this product. However, for its target market, which is youngers of about seven or eight, the size is just right as kids of this age doesn’t really need to carry too much to school. Messenger bags are a great way to shift away from the standard backpack used by kids to school. There are a lot of stylish and colorful products to choose from, which will make your child eager and excited to go to school. Make sure to bring them when going shopping for bags so you’re sure that he or she is getting the one they really like.